Twenty years ago, on March 17, 1991, the first and only national referendum in Soviet history was held. Citizens of the Soviet republics were offered the opportunity to express themselves on the matter of the preservation of the union state in “an updated form.” And although six of the union republics refused to participate, the majority of the remaining population voted in favor of the preservation of the Soviet Union. Nevertheless, only a few months later, the Soviet Union ceased to exist. Today, Rossiyskaya Gazeta experts share their assessments of the event. “The referendum did not fail; it was the Soviet Union that failed. The main problem was not so much posed by the republics which did not participate in the referendum, as by the participation of the Soviet leadership. Of course, ultimately referendum results were annulled when Mikhail Gorbachev stepped down as president of the Soviet Union. Strictly speaking, based on the referendum he did not have a right to resign in December. After all, legally a decision of a referendum has more weight than a decision of a few people in the Belovezhskaya Forest. Having stepped down from the presidential post in peaceful times, he invalidated the legitimacy of the referendum. By not having fought for this legitimacy he, in some sense, had acted as Nikolay II did in regard to the Russian Empire. “It is, undoubtedly, a historic event, as any referendum in any country is always historic. It is one of the elements of direct democracy – the people say either ‘yes’ or ‘no.’ Although, not all republics took part in the referendum. However, it failed for another reason: For us then-members of the Democratic Party of Russia, the phrase ‘preserving the Soviet Union on the basis of socialist values’ was unacceptable. Many party members were categorically against this wording – they did not oppose preservation of the Soviet Union, but were against socialist values. Think for yourself: What socialism? There was no sight of it; it was the difficult year of 1990. Then-Soviet leaders allowed us to assemble in enormous halls, we traveled to various companies, answering questions of why this was our position. The people responded to this in different ways, but overall, many approved: What socialism?! 1990 was the year of the tobacco riots, lines for alcohol, empty store shelves. ‘Your socialism is sitting on the store shelves, is there a lot of it there? !’, we asked. Most people voted ‘yes’ in the referendum. But history showed that there was not much value to these results. Not much time had passed before the Baltic states, Ukraine and Belarus began to secede. The same people who said ‘yes’ to ‘preserving the Soviet Union based on socialist values’ had forgotten everything and voted for independence. “The citizens unanimously expressed their will in the referendum, despite the fact that today they say that the language was obscure. But nevertheless, most citizens expressed their support for the preservation of the Soviet Union. Why wasn’t the will of the people realized then? I think it is related to several reasons. 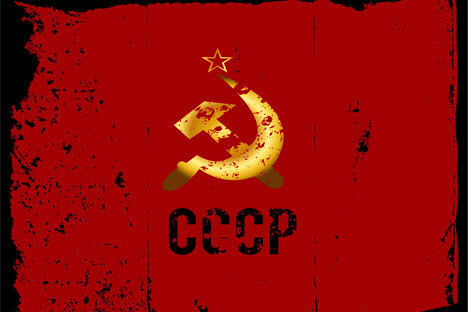 First, the Soviet leadership lost its legitimacy in connection to the coup and, in fact, to the actions of the leadership of the member republics – mainly Boris Yeltsin, Stanislav Shushkevich and Leonid Kravchuk. Second, having lost legitimacy, the Soviet leaders could no longer control the situation in the country, neither did they particularly want to take on the responsibility. And finally, I think that the Soviet leadership of the last several years was incompetent, it was simply incapable of making adequate decisions. If the Soviet leadership had conducted the referendum more precisely and acted more decisively in accordance with its results, without allowing for a collapse of the Soviet budget, for example, or unconstitutional actions by the Soviet republics, then it could have been a completely different situation. The people’s will was expressed, and any at-least-somewhat-decisive leader could have implemented it. “What we have here is a Communist patriotic camp. They like saying that people supported the preservation of the Soviet Union, and then some bad people took the union and destroyed it by going against the will of the people. But it was on the day of the referendum that the Soviet Union ceased to exist, because if we apply the normal assessment practice to the referendum on territorial integrity, then there should not have been a general majority of supporting votes, but a majority of supporting votes in all territories. Six of the 15 republics boycotted the referendum and unequivocally opposed the union. It was the irresponsibility of the union’s elite, which failed to draw the correct conclusions from the referendum and in August failed this project, which could have resulted in a new and lesser union. The referendum was not perfect, because the very wording – ‘Are you for or against the updated Soviet Union?’ – was unclear. Each person understood it to the best ability of their intelligence, or a lack thereof. The word ‘updated,’ which suppressed people in most of the republics, seemed to go unnoticed in this process, as people voted for the union. Meanwhile, behind the word ‘updated’ stood the heart of the problem, because already then, by the time the referendum was held, it was already clear that the Soviet Union could not continue to exist as it did. By that time, the Communist ideology was already dead.